Winter weather can be treacherous for motorists, bicyclists and pedestrians alike, but the inability of the City of Chicago to clear bicycle lanes consistently following snowfall forces bicyclists to share lanes with traffic. 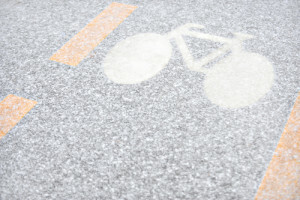 The Chicago bike accident attorneys of Rosenfeld Injury Lawyers LLC feel that bicyclists are exposed to enough risk already during the winter and that the city should be held responsible when its failure to provide safe lanes to bicyclists results in accidents and severe injuries. Over the last year, those riding their bicycles in the winter months have been unable to anticipate whether they will have access to cleared lanes after each snow storm. Some bike lanes throughout the city have seen more attention than others. Following snowfall over Thanksgiving, for example, it took over two days for city crews to remove snow from the protected bike lanes located throughout the West Side. It took over a week for bike lanes to be cleared following the snowfall occurring at the end of the year and some bike lanes still remain blocked. In some areas, motorists were still clearing their cars in order to gain access to the roads while others had no clearance up to eight feet from the curb. If cars are having trouble gaining access to city streets, the difficulty for bicyclists is even greater, and they are being forced to share lanes with vehicles amid conditions that make it more difficult for motorists and bicyclists to come to sudden stops or perform evasive maneuvers. If you notice that a bike lane has not been cleared of snow at any time, the city is now urging people to send reports via email to cdotbikes@cityofchicago.org. The Mayor’s Bicycle Advisory Council had its last quarterly meeting last month. During this meeting, Mike Amsden, the Assistant Transportation Planning Direction of the Chicago Department of Transportation vowed to maintain access for bicyclists throughout all four seasons. His aspirations included having all bike lanes cleared within 24 hours of snowfall, but the city has failed to meet this goal the last two times the city has seen an accumulation of snow. In order to clear bicycle lanes, special equipment must be used that can include smaller vehicles and plows. Flexible street posts along routes with a two inch snow parking ban are also being removed to make it easier to open lanes for bicyclists. Complaints about blocked paths are still pouring in, however, such as blockages along Lake Street and Jackson. The inability of the city to keep its promise to provide safe access to bicyclists during the winter months is placing many bicyclists at risk of being hit by vehicles by forcing them to move into the street. When the failure of the department of transportation to provide safe lanes to bicyclists is an influence in an accident, the City of Chicago may be held liable for any accidents that result. To learn more about your rights, contact one of the Chicago bicycle accident attorneys of Rosenfeld Injury Lawyers LLC to arrange a free consultation. We have helped thousands of bicyclists just like you recover compensation following accidents that were the fault of others and have the knowledge and experience to help you too.